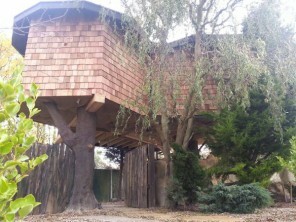 A truly unique and quirky handbuilt hideaway with private hot tub in rural Kent. 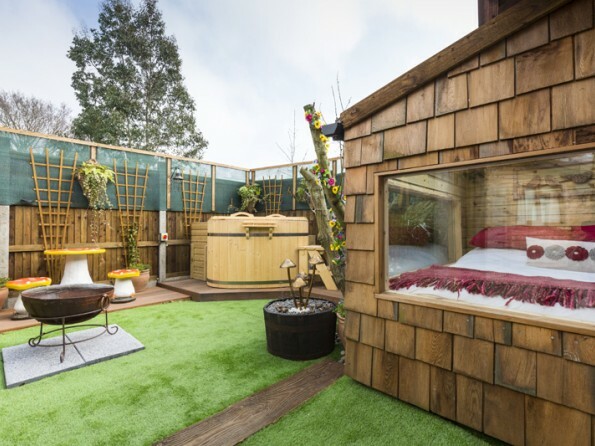 If you are looking for an escape from the whirlwind of life, or a gorgeously romantic hideaway to escape with a loved one, then this secluded cabin set in a private garden is the perfect choice. 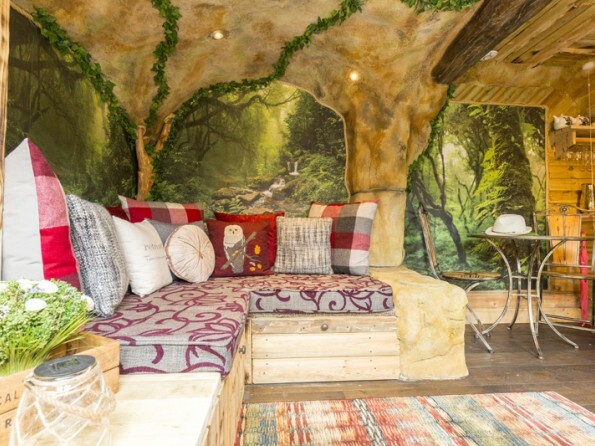 This enchanting and cosy wooden pod is a hideaway in the true sense of the word. 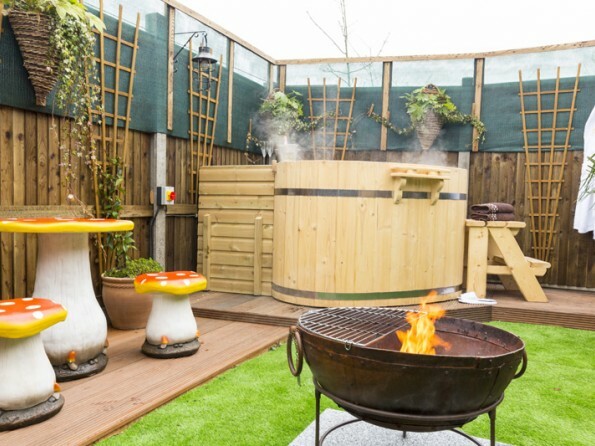 With super cosy interiors, a magical garden and a private hot tub, there is no better place to have a weekend away with a loved one. No TV, limited Wifi - you and one other, for as long as you want to book for! 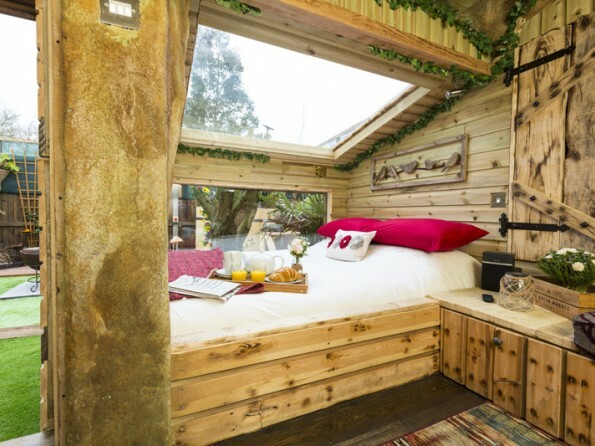 The owners of this special place specialise in providing different types of quirky accommodation in Kent. 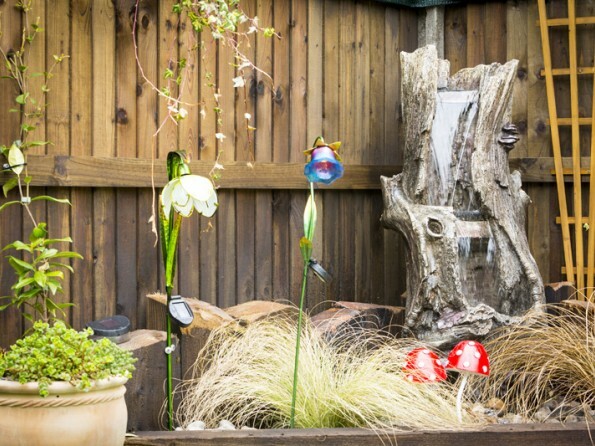 The Secret Hideaway is located between Whitstable and Canterbury, next door to the very popular Druidstone Wildlife Park. Although it feels tucked away, there is a family-friendly pub, the Royal Oak, just five minutes walk along the road and all the many attractions of Kent are on your doorstep. 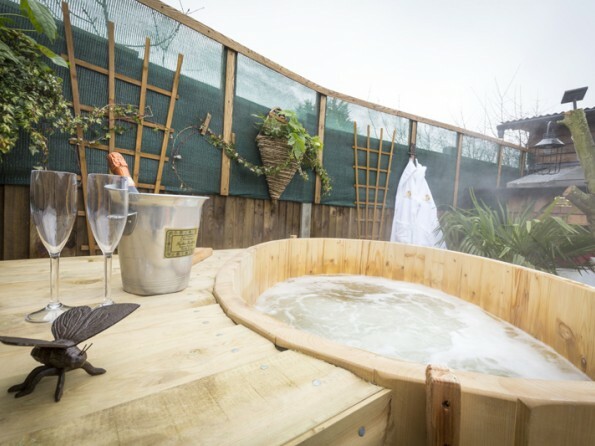 It may be tempting to sink into your private hot tub and stay there, but Kent, otherwise known as the garden of England, is a beautiful county with a huge amount to offer. Discover Leeds Castle, Canterbury Cathedral or the stunning gardens at Sissinghurst, or visit some of the glorious beaches at Deal, Broadstairs and Folkestone. You could go walking along the North Downs Way or the Greensand Way, perhaps the best way to enjoy the landscape, or you could tour Biddenden vineyards and explore some of the many art galleries and boutiques. The owners know the area inside out, so contact them for suggestions about what to do and where to eat. 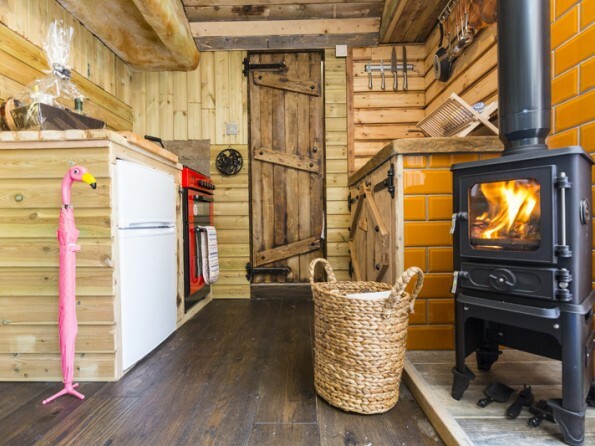 Inside this handcrafted wooden pod is warm, cosy and well equipped. 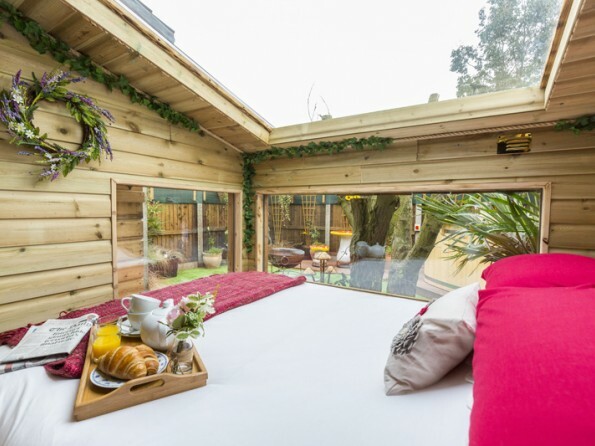 There is a comfy king sized bed with a pocket sprung mattress, tucked into the framework of the pod with incredible views from the glass roof and sides. 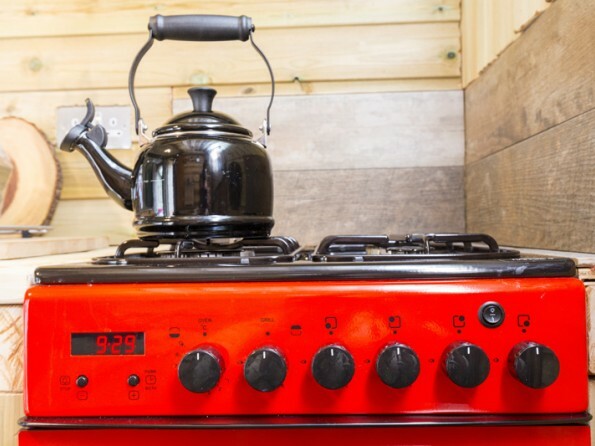 The woodburner and underfloor heating will ensure you are cosy, whatever the season. There’s a small kitchen area with gas cooker and fridge freezer, well equipped with crockery and utensils. 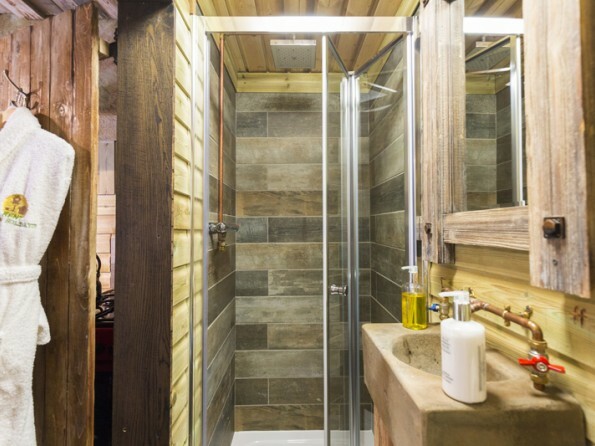 At the far end of the cabin is a bathroom with toilet and shower. A stable door opens from the side into the garden. 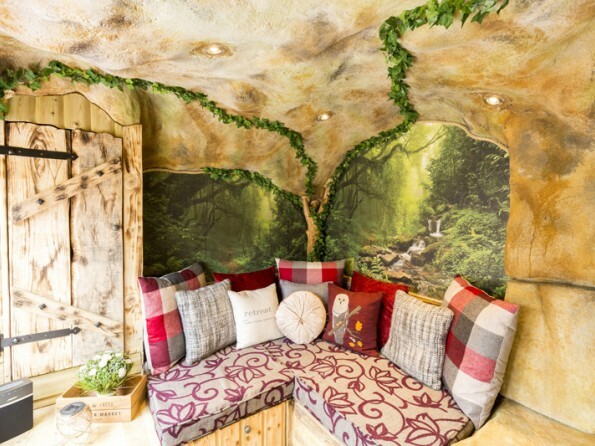 From the pod, step into the enchanted garden with its wooden 2 person hot tub where you can gaze up at the stars whilst enjoying a glass of bubbles. Light up the outdoor fire pit, enjoy a BBQ, and eat al fresco at the small table and chairs. Flexible arrival day. 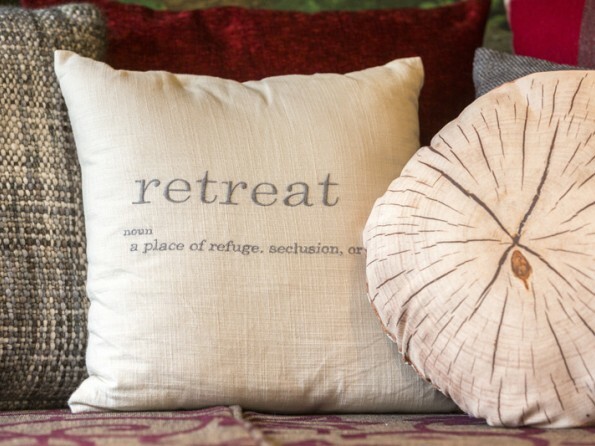 Minimum stay one night Sunday - Thursday and two nights Friday and Saturday. Check in from 4pm, check out by 10am. Late departure option available - please ask. Sorry, no pets. 50% deposit required to secure the booking. Balance due 8 weeks before arrival. Payments can be made online with a debit or credit card via a PayPal facility or bank transfer. Refundable security deposit payable.